Our micro-enterprise grants (MEGs) make it possible for parents of children with bleeding disorders or adults with bleeding disorders to improve their family incomes by investing in new or expanded small businesses. Since 2014 we have invested over $60,000 to help over 80 individuals and families run roadside juice stands all the way to providing taxi services. We have supported the purchase of sewing machines for tailoring and dressmaking businesses, inventory for grocery, electronic, fabric, clothing, cosmetic and mobile repair shops, equipment for small restaurants and bakeries, and animals for dairy and meat production. Stanley Mwangi of Kenya, a father with hemophilia, wanted to improve conditions for his cows and prepare for increased dairy production. He submitted a proposal to build a zero-grazing unit for $1,000. Today Stanley has a clean and functional pen and one cow is expecting its first calf. To start, Stanley has budgeted to sell six liters of milk a day, which will provide $20 in gross income, averaging $600 per month! Tarun Ledwani and his younger hemophilic brother, Haresh, lost their mother tragically in 2010. 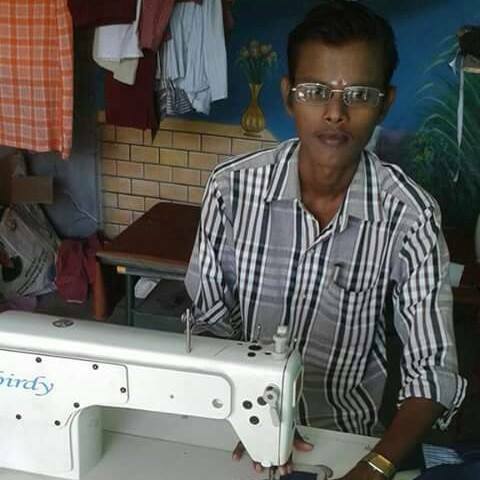 In March 2015 Tarun received a $1,000 grant to become wholesale distributor of fabric for womens' clothes. Before launching his business, Tarun earned about $66 per month as a fabric shop attendant. Today, he earns double that amount, which helps him care for his grandmother and Haresh, who often assists in the shop.